One of the things I was taught in big-time professional writer’s school was that including things like smells in one’s writing makes it more real and “alive” to the reader. That came back to me recently as I was reading John 11 where Jesus raises Lazarus from the dead. At verse 39, Martha tells Jesus that Lazarus has been dead for four days and by now he stinks. But the point here is that Jesus did not just raise a dead man from the grave. He raised a rotten, stinking, putrid corpse back to life. And He did it in a very public, dramatic manner. So, when Jesus raised Lazarus from the dead in front of God and everybody (Yes, I literally mean that.) his detractors ran and told the Pharisees about the whole incident like toddlers tattling to their mommies. The Pharisees responded by calling a meeting of the Sanhedrin. Yes, they called a meeting. And there we have it. They were afraid everyone would believe in him now. It wasn’t about the truth. It was about their power, their status, their prestige. It was about their pride. It’s always about pride. It always comes back to that first sin. The Pharisees had become accustomed to being not just God’s representatives, but (to some extent) gods themselves. They called the shots. They decided what God thought and who God was. In raising Lazarus from the dead, Jesus had virtually signed his own death warrant. And then, just days later, Jesus rides into Jerusalem with crowds shouting his praises and laying palm branches and their coats in the road in front of him. We all remember how the Pharisees told Jesus to silence the crowd and he told them if the crowd was silent “the very stones would cry out” (Luke 19:40) but let’s not forget that there were actually two crowds in this scene. And Lazarus was in that crowd! And, to my way of thinking, that’s the closest they got to being right. They were getting nowhere because God had a plan. God had orchestrated and planned every facet of this. They would be successful in killing Jesus, and they even had some idea that he had said he would rise from the grave because they took great pains to have guards posted so his body could not be removed from the tomb, but they had no idea that their opposition to Jesus was part of God’s plan for victory. When Jesus begged the Father, in his very first words from the cross, to forgive them for they did not know what they were doing, that in itself was the beginning of the victory. The Pharisees knew precisely what they were doing in having Jesus killed, but they did not know that he was indeed the very Son of God himself. They had convinced themselves that he was not. Their hearts had been hardened in an echo of Pharaoh’s hard heart thousands of years before this. And Jesus forgave the hardness of their hearts from that cross. There’s plenty of guilt to go around but the curse that crowd spoke over Jesus was actually the cure. His blood spilled that day was and is our redemption. What we intended for evil, God intended for good because it is that blood that cleanses us and raises our dead, stinking, rotten corpses from the grave. It is the love of God in Jesus Christ that melts our cold, hardened hearts and gives us real, true life in him. Two thousand years later, Jesus is still who he said he was and he is still changing the world. He IS the resurrection and the life! He DID step out of the grave on that glorious Sunday morning! Despite all the anger and the hatred and the mocking and the utter injustice and horror of what resides in our very souls, he rose in victory over all the evil that resides in each and every one of us. 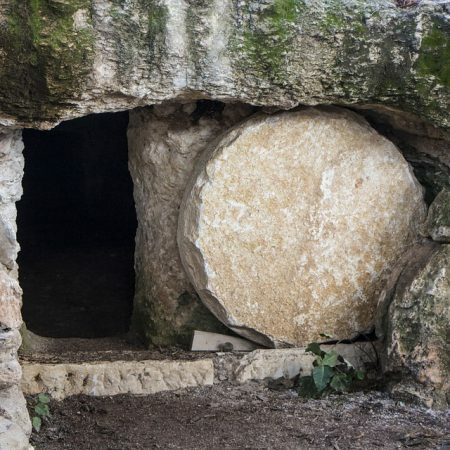 https://kinshipradio.org/home/wp-content/uploads/2019/04/empty-tomb-3326100_960_720.jpg 640 960 Dan Jones https://kinshipradio.org/home/wp-content/uploads/2016/09/kinship-long-logo-blue.png Dan Jones2019-04-18 00:33:372019-04-18 00:33:37Victory! I’ve just returned from a week at Prince of Peace Home for Girls in Guatemala and I am haunted. There is a spirit following me around and it won’t leave me alone. Perhaps I should explain more fully: Prince of Peace is an orphanage where 43 girls and young ladies reside. I went there with 13 other people on a short-term mission trip sponsored by Bethany Global University. The mission team consisted of five students from BGU who are in various stage of being trained to be career missionaries, four members of Hope Community Church in Tennessee, Kenny Ortiz who teaches at Bethany and his friend James, our team leader Jim Levine and his wife Cherie, and one stray Dan Jones just because they let me go with them. Truth be told, I had been to this same orphanage last year and I did not hesitate to go again when asked. Prince of Peace ministers to girls who have had horrific things happen in their lives. But love resides in this place and it is the pure, glorious love of Jesus Christ. All of the girls in this home have been sent there by the Guatemalan government, which speaks to what they have gone through. At one point, we learned that 97% of sexual assault cases go unreported in Guatemala, which mean that things have to go horribly, horribly wrong before a judge decrees that a girl or a young lady would be removed from her family. There are no foster homes in Guatemala and government-run orphanages are the stuff of absolute nightmares, so Prince of Peace is a remarkable blessing for those girls they are able to accept. We spent some time painting interior and exterior parts of the orphanage, but our primary mission was simply to love them. After what these girls had been through, seeing and experiencing true, genuine love was something intensely valuable to them. 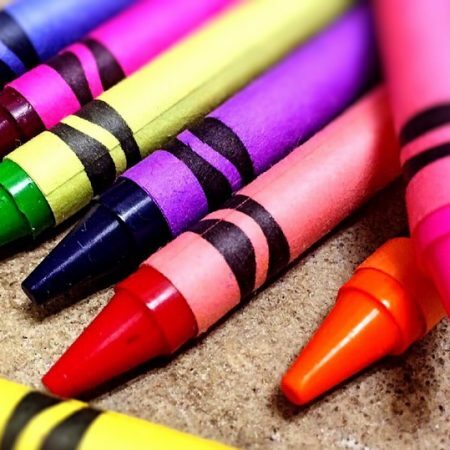 What that looked like often involved things like ping pong balls, crayons, jump ropes, bubbles, aerosol string, balloons, and just plain fun. Sometimes it was listening to them and praying with them. Sometimes it was just a simple, heart-felt hug. The hugs were not difficult to provide. During the day, while the girls were off at school, we also had the opportunity to share the love of Jesus in another way. Affiliated with Prince of Peace is the Church of the Fresh Presence, which meets on Wednesdays and Sundays in the orphanage’s “salon.” (I believe most Americans would call it “the lunch room.”) The church helps support the orphanage, and it also operates a ministry called PROVEE (from the Spanish word for “to provide”) which brings nutritious meals to children in schools. We were told that, for many of the children we would be feeding, the meal we would provide would be the only one they would receive all day long. We typically gave them bread, black beans, eggs, and fruit. To say that they were grateful is an understatement. Even so, they typically waited patiently until all had been served and a prayer said before they began eating. 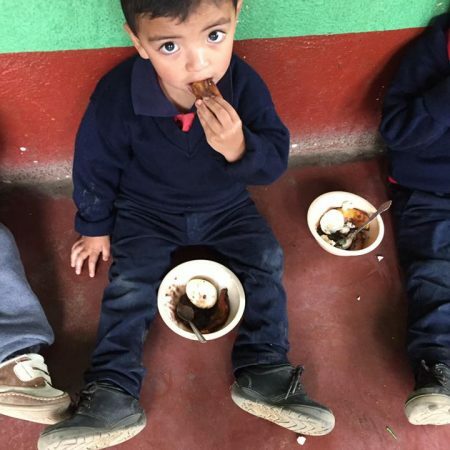 The staff of the schools welcomed us and PROVEE because they have seen test scores, learning, and health improve since the children have gained better access to adequate nutrition. We were also allowed to share the Gospel in the public schools as the government of Guatemala, despite its flaws, does not fear Jesus Christ as ours does. Usually PROVEE provides breakfast, but one afternoon we took 280 sandwiches to a public school late in the afternoon. I was assigned to a classroom with what I seem to remember were second-graders and we shared the story of Noah and the flood with them. One little boy in the front row knew all the answers and boldly read all the Bible verses out loud. He also seemed to be the class clown. As he and I were laughing at one of his jokes, I could see some of his front teeth were broken off. I discreetly asked our Guatemalan interpreter about this and she explained that it was most probably one of the symptoms of malnutrition. On his desk was a large envelope with his name, “Daniel,” written on it. My little namesake worked diligently on the word search activity we gave him. Some of his classmates came to him for help finding the words they could not find. Later, they enjoyed their sandwiches very much. And I think they prayed with more gratitude over those sandwiches than many of us are able to muster over our best Thanksgiving dinners. Daniel will probably never know that you read this and felt pity for him. He is not living a life of pity. People who love him are bringing him food and the love of Jesus Christ. There are people who are trying to make his life and the lives of many other children better one sandwich at a time. He is as enthusiastic and joyfully about being a seven year-old boy as any seven year-old boy I have ever met. The people who are helping and blessing Daniel and the girls at Prince of Peace are not growing weary in this. They are not overcome by the evil around them and they know that the darkness can never extinguish the light that is Jesus Christ. One night, we gathered together to talk over all that had taken place over the course of our day. As we sat around plastic tables sitting on plastic chairs in the Guatemalan night, Kenny told us he hoped, he prayed, that we would go home haunted by the Holy Spirit. He prayed that we would be forever changed by what we had seen and experienced. And then he told us that 42% of the world has never heard the Gospel of Jesus Christ. He told us that the average American spends over $1100 per year on coffee while the average amount each American spends to bring that Gospel to unreached people is less than $30. We spend almost three times as much money every year on Halloween costumes for our pets than we do on telling people in other countries that all who believe in Jesus Christ will have eternal life. And then Kenny said that he hoped we went home nauseated, nauseated, by the thought of acquiring more and more stuff to achieve the American dream knowing what we know and seeing what we have seen. And so, yes, I am haunted. I am haunted by the Holy Spirit knowing that every song and every teaching I hear on Kinship Christian Radio about this incredible, glorious, life-changing, amazing love of Jesus Christ that puts a sandwich in the hand of little Daniel and rescues orphans from unspeakable evil is something that over three billion people have never heard about. And I would not be surprised to find that, one day when I am standing in heaven, I am introduced to a girl who was an orphan or a little boy with bad teeth named Daniel who took the Gospel to China or Afghanistan or North Korea. And I pray with all my heart, please Lord, grant that I was not sitting in my recliner with a TV remote in my hand eating junk food while they did it. Sometimes, we are not at our best but we still have to function. Case in point: I am currently battling a cold and recovering from a migraine at the same time. I still need to write a blog. Actually, “need” is not the right word. I want to write the blog. I love writing this blog because God opens doors for my soul to discover and learn things I would not discover or learn by laying on the couch and making sounds like an expiring bovine while lamenting how terribly sick I am. There are immeasurable blessings to be found in being diligent and faithful to bless people other than yourself –even when it is slightly inconvenient to do so. Yes, I know that is totally antithetical to American culture today. I know that there are vast corporations who have made kajillions (spellcheck says that is not a word) of dollars on the premise of giving me what I want, how I want it, and when I want it –which is always right now. That’s all fine and well. Many people have jobs, support their families, and make life better for many other people because of companies like that. But that’s not what we want in the Church. And, since a picture is worth a thousand words, that building in the picture above is a church in the Dominican Republic. One of my sisters in Christ recently posted that picture on Facebook with photos and video of over 30 people worshiping in that church. My friend and brother in Christ, Pastor Secundino Ulloa was shown preaching in that church and, even though my Spanish is not all that good, I am pretty sure he was saying that Jesus is the Word and the Word is life. With children chattering and sitting on their parent’s laps, with light shining in through the cracks in the walls and the holes in the rusty tin roof, the Word is life and the darkness cannot, does not, and will not extinguish it. The darkness trembles at this light that cannot be quenched. Ever. It’s images like this that come to me when I am tempted to complain because my toast is not as perfectly golden as I would like it. It’s images like this that come to me when I am tempted to complain about… well, virtually anything. Our blessings are beyond measure. The Israelites complained in the dessert about the manna, even though it was the bread of life that had come down from heaven. No, it was not toasted perfectly golden brown. I have nothing, absolutely nothing, to complain about. As far as I am concerned, the church in the picture is as grand and glorious as any mega-church I’ve ever been in because the King of kings and Lord of lords attends that church. It is indeed the Chapel of The Victory because this LORD who came to earth was born in a stable as simple and humble as that chapel. He walked the dusty streets of Jerusalem, of Bethany, and of Samaria and preached the Good News. He died on a cross for your sins and for my sins. And He rose from the dead because death could not hold Him and the grave could not keep Him. This humble Savior who did not consider equality with God a thing to be grasped rose in complete Victory over sin, death, and the devil! He is the same LORD you hear about every day on Kinship Christian Radio and he is still saving souls and still changing the world! Now, I’m guessing at this point you would like me to divulge the question, but if I did that, why would you read more than the first two sentences? 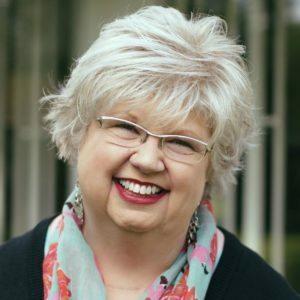 Okay, so the question is: Should the things you hear on Kinship Christian Radio be designed primarily to save the lost or to make disciples of current believers? This topic of making disciples has been popping up off and on now in my life for a couple of months. It’s one of those things that keeps surfacing like a whale coming up for air. It’s always below the surface, it’s immense, and although it can remain submerged for quite some time, it can’t help but come up for air and breathe eventually. If you think about that verse, it seems there is a tension there. We generally associate baptism with a new believer (or even an infant in some cases) whereas we use the word “discipleship” within Christianity to mean maturing and equipping a current believer into greater depths and expressions of their faith –including drawing others to faith. Indeed, the Greek word used in the verse we translate as “disciple” is mathēteuō which means a student or a scholar of a teacher. There’s an apprenticeship facet to the word also. While the implication is that the disciple follows the teacher around for awhile and learns from him, eventually the disciple goes out on their own to teach and ends up with disciples of their own –but in the process, the disciple never stops learning and growing and becoming better in the discipline in which they have been instructed. So, if you’ve been listening to Kinship Christian Radio all these years thinking that what you are hearing is broadcast as just nice Christian stuff someone thinks you will like, it goes much deeper than that. If that’s all Kinship Christian Radio was about, the programming could be a mile wide and an inch deep. Pop-culture happy thoughts, wisdom from clichés, and the occasional mention of a generic “higher power” would do that. But there’s really no power in that because there is no Jesus in that. Of course, Kinship Christian Radio broadcasts the Gospel. If someone tunes in looking for Jesus, they will hear that God so loved the world so much that He gave His only begotten Son, that whosoever would believe in Him would not perish but will have eternal life. That message is always present. That message is the leviathan of the ministry. But the part of Kinship Christian Radio I really appreciate is that it helps me grow and mature and be equipped as a disciple of Jesus Christ. The teaching, the tapestry shared by the announcers, the programs, and even the music has a beauty, a majesty, a power, that can only come from the work of the Holy Spirit. Kinship Christian Radio is the Church (capital C) going out beyond the walls of the church, as I wrote last week. It strives to be what it should be to convey how wide, how long, how high, and how deep is the love of Jesus Christ. 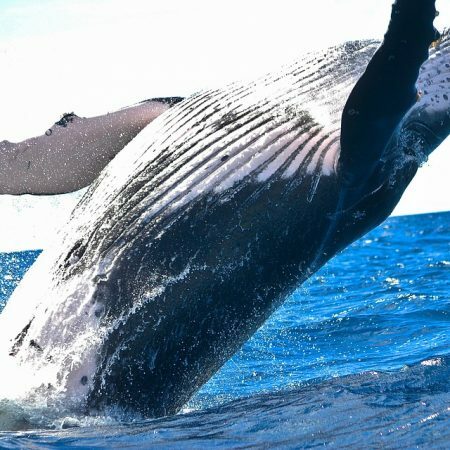 And it is the immensity of that love that grows little fish of faith into whales that sing in awe of the depth and richness and glory of our LORD and Savior! In the Colonial Section of Santo Domingo: (l to r) Back row: Sor Mercedes, Tom Wetzell, Cristian Del Rosario Urbaez, Joanna Urbaez, Pastor Secundino Ulloa; Middle row: Beth Crosby, Elpidio Zapata, Dan Jones, Alice Urbaez; Front row: Alberto de la Cruz, and Ysabel Paulino. As many of you know, I’ve just returned from a five-day mission trip to the Dominican Republic. And yes, I freely confess that I do not regret missing the snowmegeddon which has raised walls on either side of my driveway approaching a height sufficient to hold back an invasion of Mongol hordes. The trip was glorious! HALLELUJAH! As for the details, let’s get to it then. Our intent was to meet with some Dominicans I had come in contact with as a result of previous mission trips who were operating a fledgling internet radio station called Radio Bendicion Digital. (Blessings Digital Radio) The trip was not financially sponsored by Kinship Christian Radio, but Tom and Beth and I all have a deep and abiding love of Christian radio and we thought maybe some of the things we knew from the radio ministry here might be helpful to the people operating Blessings Digital Radio. We went to offer what we could, as God allowed, asking that all would be to His glory. What we found was a ministry deeply devoted to proclaiming the glory of the LORD, saving lost souls, growing disciples, and ministering to those in need. These are people who will spontaneously break out into worship or heartfelt prayer. They will stand in a circle holding hands and begin to pray, each calling out to the Lord in what seems like many different requests and praises, but it all comes back into focus in thanks and praise as they conclude their prayers. These are a people whose church will hold a one-hour Bible study on Sunday afternoon and follow it up with a three-hour service during which absolutely no one will fall asleep. Ever. The neighbors down the block will not fall asleep. When the Newsboys sang the line “Let the church live loud” in their song “We Believe,” that church is alive and well in the Dominican Republic. Blessings Digital Radio broadcasts music and teaching and shares the love of Jesus Christ. Director Elpidio Zapata controls all the equipment needed from a single desktop. Digital, internet-based radio has the advantage of not being tied to massive antennas spread out over a wide area. On the morning we were there, we could see his equipment registered about 2,000 people in the Santo Domingo area tuned in with many others listening all over the world including the United States, Sweden, Spain, Switzerland, and even China. But Blessings Digital Radio also has a heart for the needs of its community. Its people, many of whom are pastors, are involved in ministries for children, the disabled, unwed mothers, orphans, and other needs that have touched their hearts. The walls of the radio station do not contain them. Those walls are in a small office up two dozen or so stairs above the busy streets of the nation’s Capital, Santo Domingo. 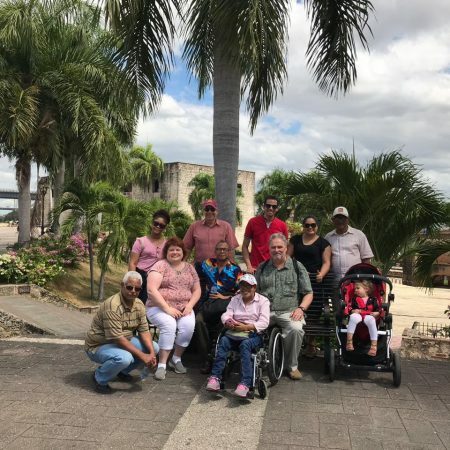 For Ysabel Paulino, who broadcasts a program for people with disabilities called “Impactando Vidas” (“Impacting Lives”) that means her wheelchair must be carried up those stairs by two men. The stairs look like they would be very slippery if it rained and Ysabel said she had been injured on four different occasions going up or down those stairs. Handicap parking and accessible buildings simply do not exist in the Dominican Republic. 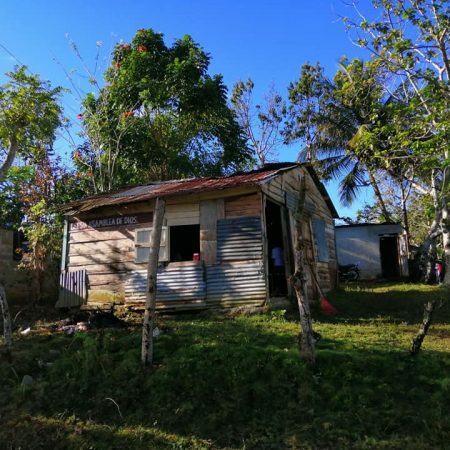 At one point, we met with a pastor who had pledged a portion of her small church as a place where a new office could be built for Blessings Digital Radio. Walls would have to be constructed and the drum set would have to be moved, but Pastor Magandy and her congregation were willing to help the radio station. That office would be at ground level. There were also many Spirit-led conversations, many of which occurred while our host, Pastor Secundino was driving us around Santo Domingo. Let me give you a little background on “driving us around Santo Domingo” before I get into the conversations. The Dominican Republic has the second-highest rate of traffic deaths of any place in the world. Driving in Santo Domingo is absolute bedlam. There are about three million people who live in the area around the capital and they all seem to be going in different directions at the same time. There are virtually no stop signs, no street signs, no speed limit signs, and zero concept of leaving more than a gnat’s hair of space between the vehicle you are in and any vehicle around you. I counted a grand total of two stop lights in that city the whole time I was there. “Vehicles” on the packed roads include everything from horse-drawn carts, three-wheeled bicycles loaded with 200 pounds of pineapples, thousands and thousands of small motorcycles and scooters that weave in and out of traffic like each one is driven by Dale Earnhardt, countless old (1991 to 1996) Toyota Corollas used as taxis and typically carrying seven or eight Dominicans, tiny Japanese trucks capable of no more than about 30 mph loaded eight feet tall with plantians, the occasional Land Rover or Mercedes, and full size semi-tractor trailers. In official documents, it says they drive on the right side of the road just like we do. In practice, that concept is irrelevant. They drive where ever there is room to drive. In the middle of all of this are three gringos and varying numbers of Dominicans (including not one but two wonderful interpreters) in Pastor Secundino’s ten-passenger, four cylinder diesel van. 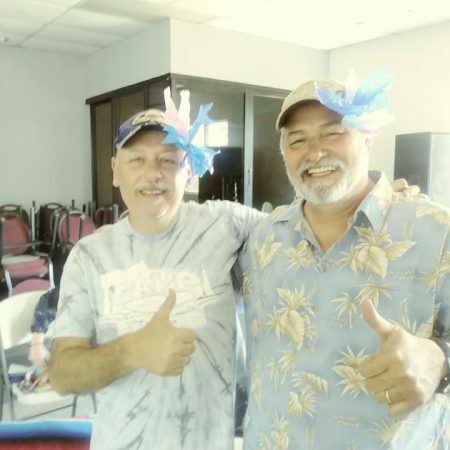 The pastor’s real name is Secundino Ulloa, but a lot of us call him “Papa Cundo” because that’s a lot easier and more fun to say. And Papa Cundo proves that the fruits of the Holy Spirit are real. In the midst of all this swarming, frustrating, life-threatening utter chaos, Papa Cundo never once says a curse word, raises his voice, or loses his cool in any way. Love, joy, peace, patience, kindness, goodness, faithfulness, gentleness, and self-control radiate from this guy under circumstances that would have me on my knees confessing my sins for days. I know this because almost every time we went anywhere, I was riding shotgun. I arranged for Tom to take the right front seat once and he refused to do so ever again. And, one day, while Papa Cundo is driving through all this, a conversation takes place in the back of the van about the church, what it should be, and how it comes to grow. So, when the traffic is less life-threatening than usual and because I know he is wise in these matters, I asked Papa Cundo what causes the church to grow. And, through our interpreter, he said it was prayer and the fruits of the Spirit. It’s the church being the real church. Shortly after that conversation, Beth interviewed Pastor Secundino for a Kinship Crossroads report. Using some of the radio technology we brought with us, we were able to sit at the Ulloa’s dining room table and have him tell Kinship Christian Radio listeners 2,000 miles away that the growth of the church, the effectiveness of the church, was about the church going out beyond the walls of the church. And that night, we went to an event called a campaña (campaign) where the people of Secundino’s church picked up the stage and the keyboard and the lights and the sound system and the drum set and moved it down the block to an intersection in the street where there are several places where people commonly come to drink. They literally picked up the church and moved it out beyond the walls of the church. And they preached and they worshiped and they sang and they proclaimed the name of Jesus Christ as Savior and Lord right there in the street. And they did it with great fervor and strength and joy. They did it with a faith as strong and rich as a cup of Dominican coffee. They did it heartily, in a genuineness that satisfies your soul like a bowl of their national dish, sancocho. They did it as if unto the LORD. And as I sit and write this now, I know that the same Spirit is alive and well in Blessings Digital Radio. I know that the God my brothers and sisters in the Dominican Republic call “todopoderoso” is the same totally powerful, almighty God who can and does save the lost through the death and resurrection of His only Son, Jesus Christ. And so, I join them in their praise and worship shouting, ALELUYA! GLORIA DIOS! ALELUYA! As I was reaching into the cupboard Monday morning for a coffee cup, I accidentally knocked a different coffee cup off the shelf. It fell to the counter-top and shattered into hundreds, maybe thousands, of pieces. It was an unusual cup in that it was made of thick glass, not ceramic like most coffee cups. I’m guessing it was that heat-resistant glass used in cookware. It broke into pieces of all sizes. Some large, some medium, some small, and some that appeared to be microscopic. I say, “microscopic” because as I looked at the counter-top, I could see tiny glints of light in certain places where I could not see the actual piece of glass causing those glints of light. Once I got some slippers on my feet and a broom in my hand, I discovered the shrapnel from the cup covered a large area of the kitchen. I swept the floor first, then mopped the floor. The floor mats (luckily not carpeted) in front of the sink and counter would go outside for a vigorous pounding. Moving on to the counter-top, I considered the stick of butter sitting there. It was missing only one small pat, which had graced a serving of carrots from the roast last night. Almost a whole stick of butter. And then I threw that stick of butter away. Later, as I was wishing I had been more careful as I reached for that morning coffee cup, it occurred to me that the stick of butter answered a question that had come up in Bible Study the day before. That seems rather unexpected and harsh. As it turns out, the reason for all of this is that Moses had not circumcised his second son. God had commanded that the sons of His people would be circumcised. Moses’ wife, Zipporah, came from a different culture where men were circumcised before marriage, not shortly after birth. So, for Moses, leaving that child uncircumcised was sin. It was disobedience to God. Moses could not go on this grand mission the LORD Himself had called him to if he was unrepentant of sin –any sin, no matter how good the reason and no matter how microscopic. We instinctively, completely, and totally understand and agree that the acceptable level of broken glass in a stick of butter is absolutely none. Zero. Not one of us would knowingly and willingly accept or use a stick of butter with any shattered glass in it all. Zero tolerance. And yet, somehow, we believe those tiny voices that say the we should willingly allow and accept small amounts of sin in our lives, in our culture, in our nation. And we allow the acceptable amount of sin to grow as we become desensitized to the broken glass that slowly tears us apart as it increases the internal bleeding that God told us would lead to certain death. But we cannot speak life and truth and joy and peace to others with shards of broken glass in our gullets. 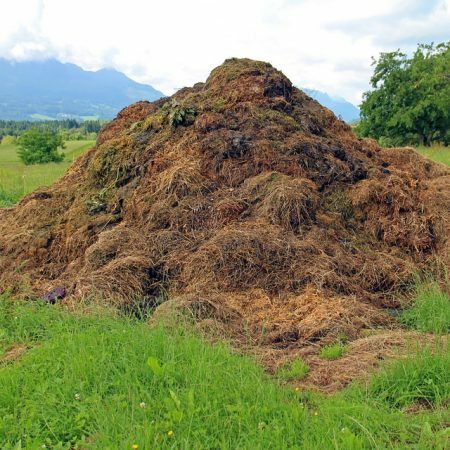 The bad news is that we stink at being sinless. Everyone of us will some day knock that coffee cup off the shelf before we have come to our full senses. The good news is that there was someone whom God sent who was and is sinless. 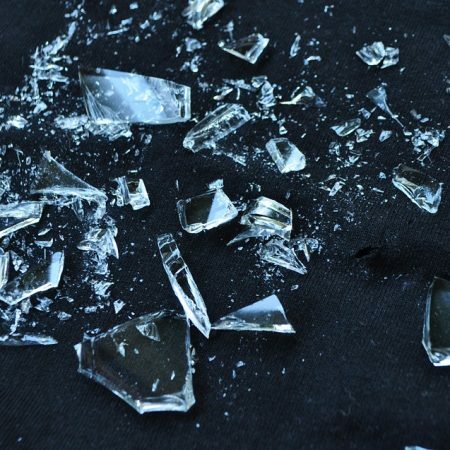 There was someone who can not just remove the shards of broken glass, but can make it as if we never knocked that cup off the shelf in the first place. As every preacher on Kinship Christian Radio will tell you, Jesus removes our sins from us as far as the east is from the west. (Psalm 103:12) Because of Jesus, our sins are not just forgiven, the Father willingly forgets them. (Hebrews 8:12) When we repent and confess our sins, we are washed clean and stand before the judge of all humanity not just “not guilty” but innocent and dearly loved. We are redeemed and set free!